I'm starting a little mini series just in time for Christmas shopping. I'll be posting one a week up until Christmas and if you have any suggestions for gifts let me know! 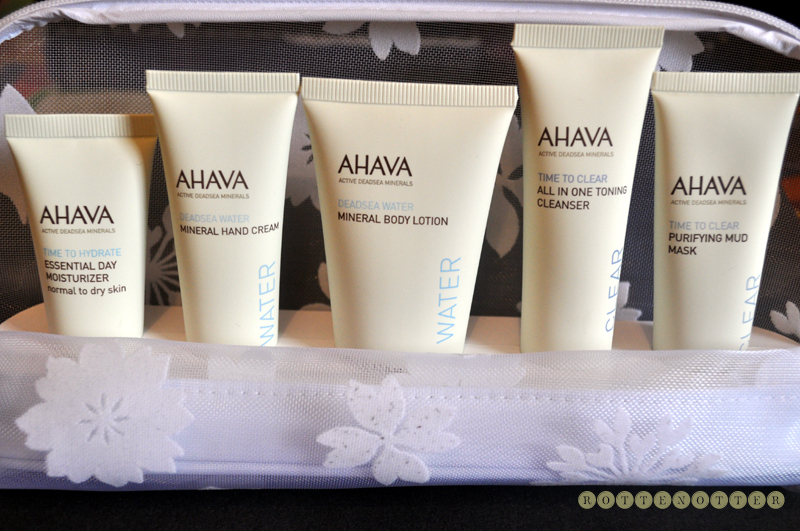 Today I have a gift set from Ahava*, an internationally renowned skincare collection developed by the Dead Sea Laboratories. This kit includes 5 different products, all great sizes, inside a cosmetic bag and retails for £25. 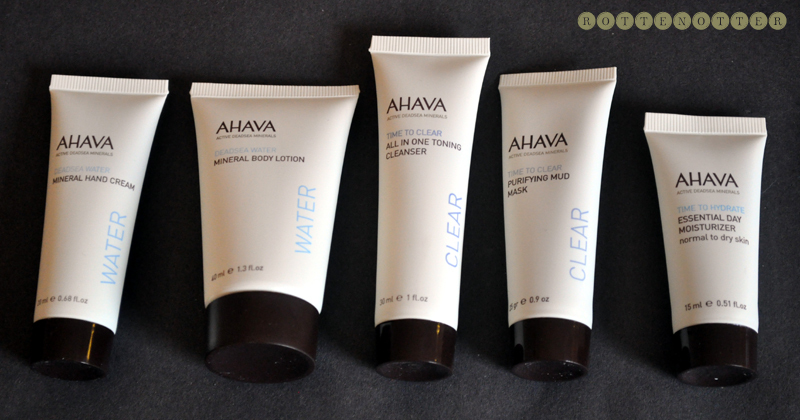 There are two body products and three for the face. Mineral Hand Cream - This is the perfect hand bag size! It sinks in really quickly and leaves your skin noticeably softer and moisturised. This doesn't mean it leaves behind an oily residue or greasy feeling though. Once applied my hands are left feeling really silky and smooth. Mineral Body Lotion - This is the only product out of the five I've already tried before. I got a sample of this in my August Glossy Box and am glad to have a back up. This is the biggest sample being 40ml. It sinks in so well, perfect for using in the mornings as it doesn't leave your skin feeling greasy. All In One Toning Cleanser - This is a bit different to the cleansers I normally use, it doesn't need washing off. It's a pampering cleanser and toning milk combined. You simply apply it to your skin and remove with cotton pads. For me this is the type of cleanser I'd take with me if I was staying at a friends house or traveling. Say on a plane or long car journey where you don't have access to a proper bathroom. Instead of a daily cleanser. It's really gentle and doesn't contain SLS which is always a bonus. This can also be used to remove eye make-up. Purifying Mud Mask - This mud mask is thinner than others that I've tried but this makes it slightly easier to apply. You apply it all over the face, avoiding the eye area, and leave on for 2 minutes then wash away. I use the Liz Earle sponge to remove it as I find this the easiest way. Or a muslin cloth or flannel works really well too. I use this once a week as I have sensitive skin but if you have more normal or oily skin you could use it more often. I've found this helps to clear any blackheads similar to the Liz Earle mud mask. Essential Day Moisturiser - All the products in this gift set have a very similar scent, slightly fruity but natural. This is a bit heavy for the sensitive skin on my face but for most this wont be a problem. Other than that this is a really nice light moisturiser that wont clog any pores and doesn't leave the skin feeling greasy. The only downside is that this is for normal to dry skin so may not works for those with an oily complexion. I've been using the bag included in the gift set for my everyday products which I also took away with me at the start of the month. 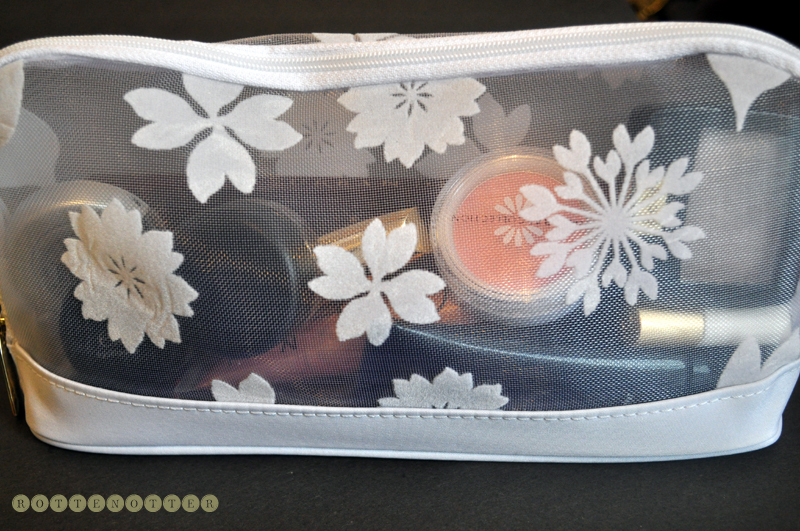 It's a great size and fits in everything I need including the Urban Decay Naked palette. I haven't been taking this palette away with me because it didn't fit in any of my cosmetic bags but I have one which does now. I also like that it's partly see through so I can see what I have. I have a post lined up with the contents so if you're interested to see what I'm using at the moment it should be up in the next few days.